BRATTLEBORO—Nearly 10 months after Tropical Storm Irene swept through Windham County, local business owners are still wading through the red tape. Meanwhile, millions of federal disaster funds might not trickle down to some of the businesses and homeowners in need. 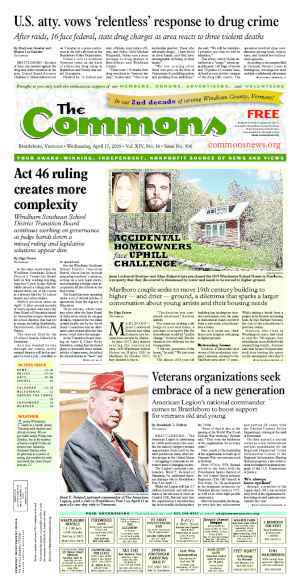 Still, the Vermont Agency of Commerce and Community Development’s Department of Economic, Housing, and Community Development (DEHCD) hopes to funnel more funds to the local level. DEHCD staff hosted the first of three public hearings in Brattleboro on Tuesday to collect public comments on the department’s action plan to allocate disaster federal funds required by the Department of Housing and Urban Development (HUD). The Agency of Commerce and Community Development (VCCD) administers HUD’s annual allocation of Community Development Block Grant (CDBG) funding, DEHCD Deputy Commissioner Jennifer Hollar told the audience. Vermont, she said, has received an additional $21,660,211 in CDBG disaster recovery (DR) funds. These CDBG-DR grants would serve needs not covered by other sources like FEMA, grants, loans, or insurance. Although HUD has allocated the funds, the state must still apply for the $21 million, said Hollar. As part of the application process, the state has developed a draft action plan looking at unmet housing, economic development, and infrastructure needs and actions to take within perimeters of the block grant program. The department wanted to hear from the public what tweaks or changes to the draft plan to make based on HUD’s eligible uses for the disaster funds, she said. DEHCD staff admitted they’re still learning the disaster fund’s finer points because HUD’s rules for the CDBG-DR funds differ from the rules for the other HUD monies that the department manages. These disaster funds are one of many sources of funding available, said Hollar, who warned the property owners and business owners in the audience that these funds from HUD will hardly scratch the surface. The public comment period ends June 29. HUD then has 45 days to assess the action plan. If successful, funds will be available in October. HUD has instructed Vermont to divide the disaster funds among counties, but some of the more damaged areas might not have access to as much of the $21 million. HUD has determined that 80 percent of the CDBG-DR funds will go to Washington and Windsor counties, while the other 12 counties will divide the remaining 20 percent. 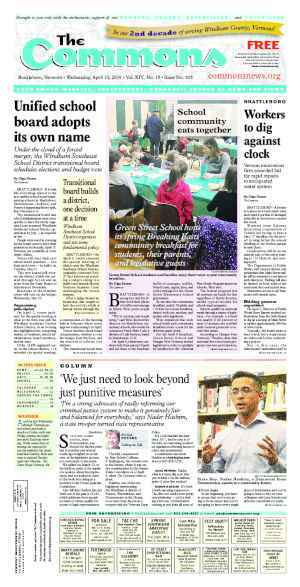 Hollar added that Brattleboro has historically received the highest number of community block grants in the state. Members of this community can help one another apply for the disaster grants, she said. Ann Karlene Kroll, DEHCD director of grants management, explained that in the last four years, the United States has seen a “mind-boggling” number of natural disasters. “We’re blessed we got $21 million for the state,” Kroll said. HUD’s disaster funding covers three 2011 natural disasters in Vermont: two rounds of spring flooding and Irene. HUD divided $400 million between eight states that experienced disasters last year, she said. “[The $21 million is] pretty significant given our population’s size,” Kroll said. The funds are intended to fill gaps where no other funding exists, including the Federal Emergency Management Agency (FEMA), charities, or loans. The challenge will be disbursing the money equitably. The feds have tightened disaster funding in response to fraud and waste after previous disasters, she said. Using uniform state data of disaster-related damage from FEMA and the Small Business Association (SBA), HUD “took a data snapshot for December 2011,” said Hollar. HUD then compared the damage to assistance that jurisdictions had received at the county level and chose a “natural breaking point” by targeting all counties in the U.S. with more than $10 million in unmet needs, according to the data snapshot, said Hollar. 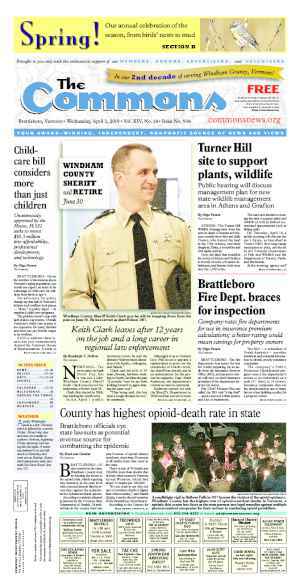 Washington and Windsor fell into the $10 million category, while Windham popped up with only $8.9 million. Audience members took issue with HUD’s $8.9 million total. Chris Hart, executive director of the Brattleboro Housing Authority, noted that Irene-related damage at Melrose Terrace alone totaled over $2 million, yet FEMA did not finish assessing the property until after HUD took its snapshot. In a separate interview, Hollar said that HUD’s snapshot approach left many neighboring states feeling shortchanged. All of Vermont’s counties received a Presidential Disaster Declaration, which allows access federal disaster funds, said Hollar. The state’s Congressional delegation asked the federal government to allow Windham and Rutland counties into the 80 percent pot. So far, said Hollar, HUD has stood steadfast. “We’re not giving up. We’re still talking to them. We’re trying to use every argument we can,” she said. Kroll pointed out that HUD considers the action plan a living document and subject to amendments. When awardees start projects, it’s likely other needs will surface. As a result, money flowing can shift over the long-term, and the federal agency allows for flexibility with “justifiable amendments,” she said. Municipalities, nonprofits, regional planning commissions, regional development corporations, for-profit businesses, and other parties are eligible for the CDBG-DR funds, said DEHCD staff. The funded projects must also benefit people with low and moderate incomes or communities, or address an urgent need. Eligible uses for the CDBG-DR grants include buyouts of flood-damaged properties; relocating residents, municipal facilities, or businesses to safer areas; tourism and marketing efforts; new housing; and disaster recovery planning. Kroll said applicants for CDBG-DR funds can contact DEHCD for technical assistance. More information, eligibility requirements, and environmental review guidelines are listed on the department’s website. The CDBG-DR grants come with strings attached, like permanent deed restrictions or the requirement to maintain flood insurance. The application process is a competitive review process assessing a project’s need, impact, and feasibility, said Josh Hanford, Vermont Community Development program director. The review process will follow similar lines as other CDBG applications, he said. Eligibility, however, is wider than with regular block grants, Hanford said. Normally, municipalities are the legal applicants for block grants, but disaster funds allow individuals to apply. To speed the review, the department created a scoring process. Scores will be summarized for the review board that analyses and suggests projects to the agency secretary, Lawrence Miller, for the final decision. Members of the public expressed concern and a lot of frustration about available funding post-Irene and the perceived unfairness of HUD’s 80/20 funding split. Not all of the frustration, however, was directed at HUD, as FEMA, the state, and local business organizations also took heat. Rep. Ann Manwaring, D-Wilmington, said most disaster funding bypasses businesses. Most of the businesses in Vermont are small, sole proprietors lacking the resources to pull themselves up alone, she said. Elissa Bhanti, owner of Adivasi on Flat Street, said that businesses needed “an injection” of capital other than loans. After Irene, the SBA offered Bhanti loans contingent on placing a lien on her house. With two children preparing for college, Bhanti turned the loans down. Irene’s floods hit almost every business on Flat Street. The New England Youth Theatre’s main building sustained the least amount of damage due to flood gates. “We are suffering,” Bhanti said, adding that most small-business owners don’t possess the skill set for applying for grants like CDBG-DR. 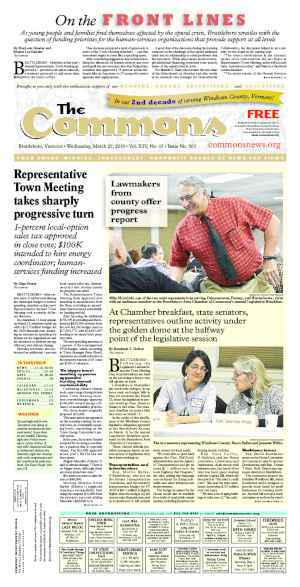 In a separate interview, Bhanti added that local business resources like the town and Brattleboro Development Credit Corporation have not provided much support. Peter Pardoe, owner of the Flat Street Pub, operates the upstairs half of his business since Irene flooded the basement restaurant. He used a $100,000 loan from the Vermont Economic Development Authority to rebuild the kitchen, walk-in cooler, and upstairs beer cooler. FEMA, which does not include businesses in its disaster response, was more hassle than it was worth, he said. After wading through the registration process, FEMA pushed the business owner to SBA. With only the upstairs pub operating and not the full restaurant downstairs, the business’s income has decreased 50 percent, he said. Pardoe also only employs eight of the pre-Irene staff of 32. He said he needs another $70,000 to reconstruct the downstairs restaurant, but, like Bhanti, also declined to put a lien on his house as a condition of an SBA loan. “I’m not going to risk losing my business and my home,” he said. Originally published in The Commons issue #155 (Wednesday, June 6, 2012).